Once again we will be attending the PA State Strength and Conditioning Clinic for the NSCA next weekend. 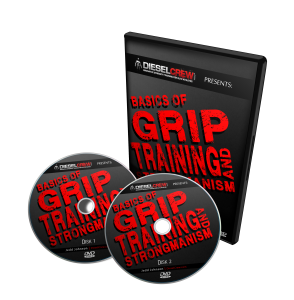 We will be holding a hands-on presentation on grip and strongman. One of the items I will have is the Inch Replica Dumbbell that weighs 172 pounds with a handle that is nearly 2.5 inches thick. 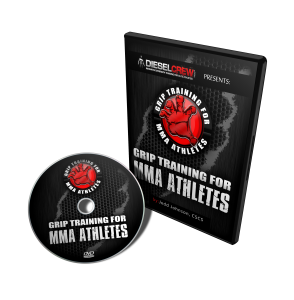 If anyone can lift it to lockout, I will give you a copy of either my Nail Bending eBook or my Card Tearing eBook. I know a ton of the personal trainers and strength coaches that attend the Juniata Clinic visit our site, so I will make you all this deal. If anyone has any requests as far as stuff they want me to bring, drop a comment below and I will do my best to make sure it gets added into my vehicle for the ride down. Who all’s going? Let us know! 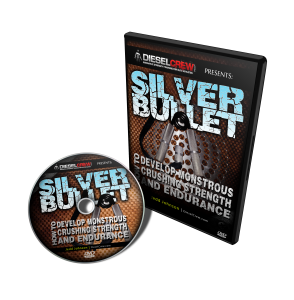 This entry was posted on Saturday, June 6th, 2009 at 8:03 am	and is filed under how to improve grip strength, strength training workouts. You can follow any responses to this entry through the RSS 2.0 feed. Both comments and pings are currently closed. You should bring that Napalams Nightmare. Joe, Great idea. Will do. Are you going to be there? Rick, Shoot me your address. I will put it into my GPS. Im hoping to get down with either you or smitty, depends on work and what days the presentations are going on. Presentations are on Friday and Saturday. I would like you to bring Hamer to stand in the 800 pound tire while we flip it. That would make it functional. I’ll see you guys Thursday night. I would like you to bring your “A” game. So rest up and eat your Wheaties. You have had 2 years now to train… I expect to see a muscle up on the rings.